I’d never heard of fricandó until last week when I arrived at culinary school and opened up my recipe for the day. But I was the exception– it turns out that most of my Catalan peers knew this dish well. 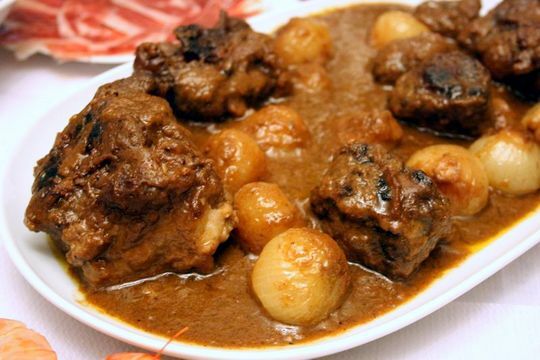 They had grown up eating fricandó, a delicious beef stew with mushrooms. It’s one of those traditional dishes where every family has its own fricandó recipe. Even our teacher confessed that he makes his grandma’s version at home! Fricandó – delicious Catalan beef stew! But for the purpose of the class, we made fricandó the proper way, step by step. I don’t have anything to compare it to, but it’s definitely one of the best beef stew recipes I have ever tried! Sometimes I find beef stew gloppy and stodgy, and everything tastes the same. This fricandó recipe has complex flavors (though is still simple to make!) and it doesn’t feel heavy at all. This Catalan beef stew with mushrooms is made using beef shoulder or knuckle (part of the shoulder– called “llata de ternera” here), which is a very tough cut. But when treated with time and love, it becomes melt-in-your-mouth tender, especially with this delicious beef stew recipe! 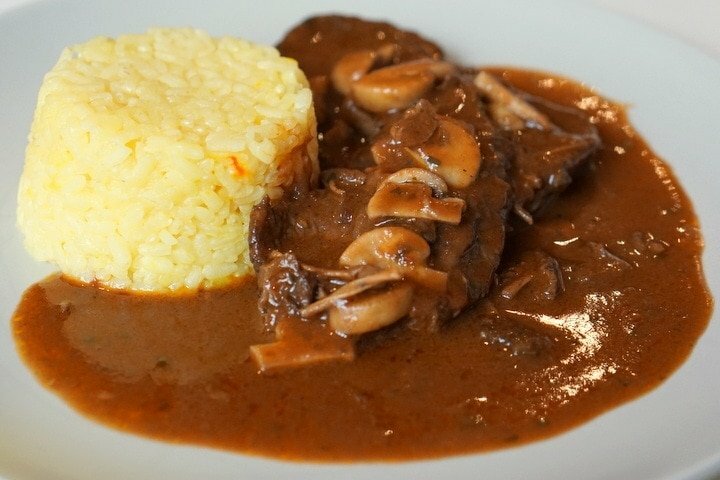 A delicious beef stew with mushrooms called fricandó! Enjoy! I love fricandó with a side of rice or mashed potatoes - pasta or roasted potatoes (or homemade french fries) are great too! Heat the stew and stir in the picada, a spoonful at a time. Taste as you go (some prefer only a little of the picada because of its strong flavor. 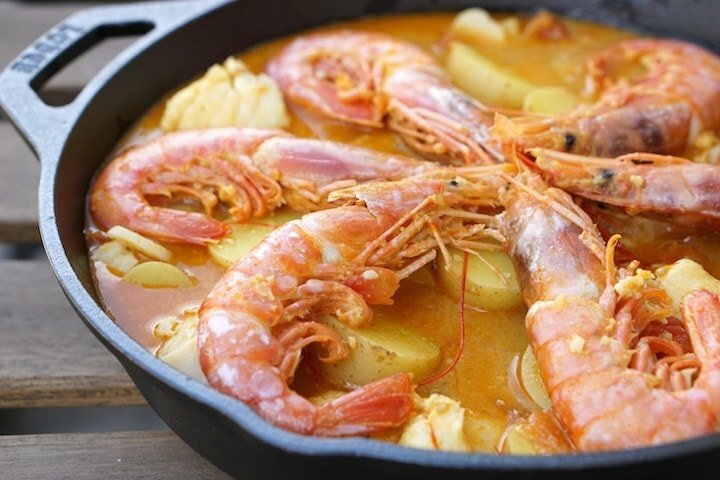 What do you think about this traditional fricandó recipe? I promise that despite the many steps, it’s pretty easy and no fuss. The picada is optional (but adds a great flavor). It’s definitely become one of my favorite beef and mushroom stew recipes! What’s your favorite stew recipe? Leave a comment below! I made this tonite and was delish! Thanks for sharing! Thank you so much for the recipe, it was amazing i did from top to bottom on your instructions and came out perfecto!!! i used my homemade beef stock to enhance this dish.